Super Thin Skin is also called Contact Skin, so named because it is made using a V loop on a micro thin base, so thin that it feels flush to the skin. 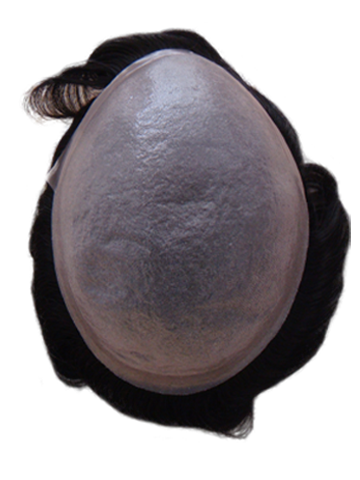 The base material simulates the scalp, making it virtually indistinguishable from your scalp, thereby rendering the hairpiece super natural-looking. Hair Type: Human hair. Gray is synthetic except when gray is 65% or more, in which case yak hair is used.